Ever wonder what would happen when the world runs out of drinking water? Civil unrest? Global nuclear war? All of the above? 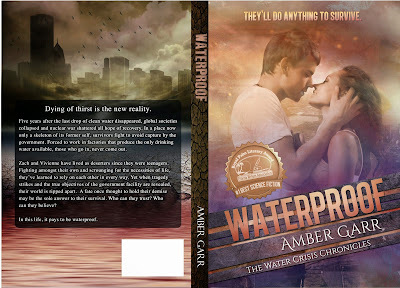 The Water Crisis Chronicles by Amber Garr presents one possible scenario for this all-too-real local and global issue. Waterproof, the original novel, won Best Science Fiction Novel of 2014 at the Royal Palm Literary Awards and fans of the book asked for a prequel novella - Waterfall. Well, now Waterfall has been expanded into a COMPLETE FIRST NOVEL which will be released in next month. 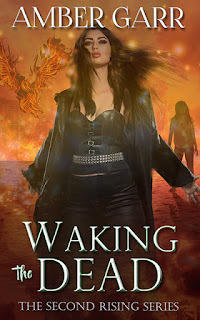 In addition, the whole series received an updated look that better reflects the two narrators: Zach and Vivienne and the love story woven into a world set on destroying itself. 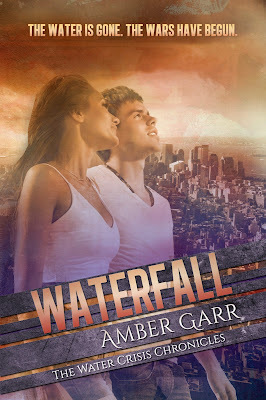 Waterfall will be re-released as a full novel in June (stay tuned for more info), and Waterproof is available now. Watermarked, the final book of the series, is due for release in September 2015! A special thanks to Emma Michaels for her excellent front covers! 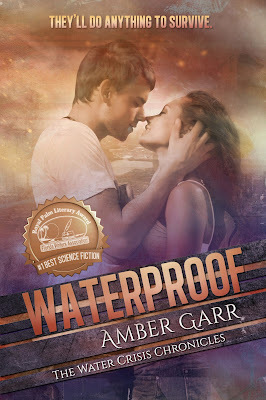 Find out more about Amber Garr at her website, on Facebook, or follow her on Twitter. Thank you Tracey! I hope you enjoy them! Scary thought to run out of water.